Paris is simply the city that has it all. From its birth on the banks of the Seine in 52 BC as Julius Caesar continued his conquest of Europe, the City of Light has always commanded a captive audience. 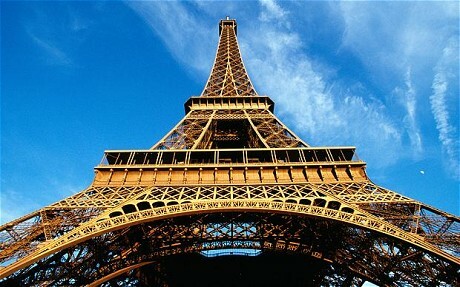 Paris is synonymous with iconic landmarks. There’s nothing quite like watching the Eiffel Tower light up on a beautiful moonlit night, reaching out to the stars and beyond. Many first time travellers to Paris arrive via the rather underwhelming Eurostar train terminal. But don’t let first impressions deter you. The French charm is soon apparent upon the city streets. But be careful navigating the roads. Parisian drivers are notoriously erratic and have been known to create some wonderful scenes of mayhem. Perhaps the safest option is to travel on the very efficient Metro. The underground rail network is one of the best in the world. Clean and safe, the whole city becomes instantly accessible at a very reasonable price. Many first timers make a beeline for the Louvre and Leonardo da Vinci’s enigmatic Mona Lisa. Rebuilt in its unique pyramid structure, the Louvre is conceivably the world’s best art gallery and instantly recognisable. Café culture is the epitome of Paris. Philosophers and intellectuals are sat on every corner and side street, drinking their coffee and debating current affairs. Following the war with Iraq, anti-American feelings are commonplace in the capital. However, these should not hinder anyone’s plans to visit the city. The French are generally very accommodating. Shoppers in Paris are in their element. Huge department stores such as La Samaritaine and Galeries Lafayette house every conceivable household brand, providing a wealth of opportunity to punish your credit card. Cathedrale de Notre Dame de Paris and Chateau de Versailles are always high on the list of must-sees. In fact it’s impossible to see everything Paris has to offer in a single day. It would take several to fully appreciate the essence of Paris, what it is that motivates the city and its people. Many have sought refuge in Parisian culture. Great names such as Pablo Picasso and Salvador Dali found it impossible to ignore the lure of this great city. Ernest Hemingway was another enticed by its magnetism. But ultimately, to experience for yourself the world’s number one tourist destination is a memory to take with you forever.